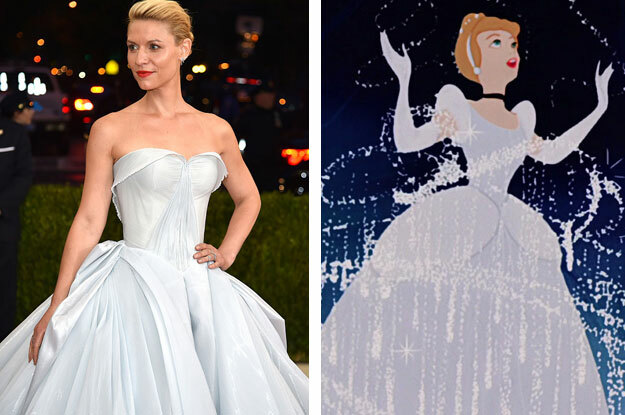 Ethereal actress Claire Danes showed up to the Met Gala (which is a ball, don’t you forget, so you know…ball gowns), looking like a literal goddamned princess. After teasing us with a “night time” look at her Zac Posen gown that…wait for it guys…ACTUALLY LIGHTS UP, Claire arrived on the red carpet basically stealing the show. While other attendees stunned in metallics and feathers, Claire took everything to a whole friggin’ new level in this Disney-worthy ball gown that Cinderella herself would be jealous of. No word on whether Claire now has the ability to talk to mice and birds, but we’re holding out hope since she’s clearly going to have the most magical night ever.